Double Helix and Microsoft have announced the Dojo mode for Killer Instinct. Watch Maximilian's breakdown inside. 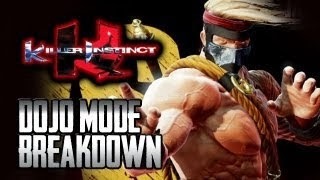 Maximilian sat down with Killer Instinct producer Michael Willette recently to discuss the game's Dojo mode. In the mode, players can go through basic and advanced lessons to improve their skills.